I am looking at an artist who is making music that is true to her and soothing for the soul. 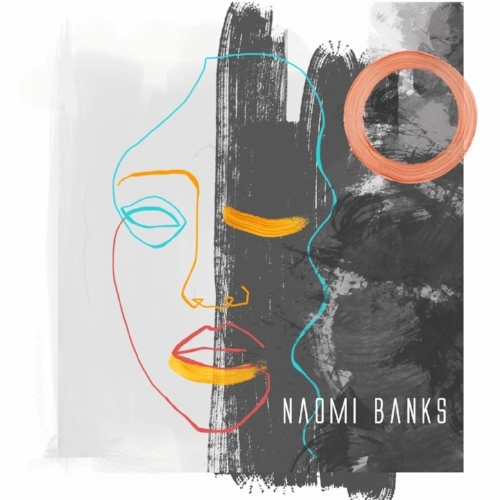 I will talk about a track from Naomi Banks that has struck my ear but, with the release of the Deja Vu E.P., it has provided an opportunity to look at someone who is making waves and creating stunning sounds. I will look at the song in a minute but I want to look at Neo-Soul and Jazz and why they are genres we need to see more of; female artists who are standing out for the familiar and why we need to change our views; writing with different musicians and recording processes that bring something new to music; originality and finding those stars of tomorrow – I will end by seeing where Banks will head next year. To start with, I am minded to investigate Neo-Soul and Jazz. These are genres we do not hear a lot of and I guess the last great star from these areas was Amy Winehouse. She brought in other sounds but her fusion of Soul and Jazz exhilarated and excited the world. The reason why I am excited to see Naomi Banks bringing some of Winehouse’s magic back is because of the elements and emotions you get. I get to hear so much Pop and Alternative and it does not provide me the chance to get away and look at something different. Another reason why I am excited is to hear something different from the music. So much of today’s music is stuffed with electronics and there is something unnatural coming from the speakers. It is okay to add the odd electronic element here and there but so many artists overload their music with this and it can be a bit annoying. There is some electronics in Naomi Banks’ music but you get much more grace and natural sounds. I think a lot of artists assume Soul and Jazz are redundant and they are not worth exploring. The assumption physicality and soulfulness will not come through is wrong. I will not keep mentioning Amy Winehouse but look at the way she managed to provide such deep and memorable music and I am surprised the mainstream is not encouraging more of what she was about. Perhaps it is hard to find artists like her but, in Naomi Banks, you have someone who has a little of her but brings her own colours to the party. Think of the classic Neo-Soul artists like Erykah Badu and Lauryn Hill; what D’Angelo was doing and you have legendary, enduring music. Unlike mainstream Pop and so many other genres, you have this seduction and enticing beauty that gets under the skin. One gets a real flavour of old-school Jazz and Soul with some modern production and genuine fizz. If you put all of that together and I think music needs to adopt and embrace those artists who play in these genres – rather than the usual Pop fare. It is hard to decide which artists are worth sticking with and who will make breaks but I hear Naomi Banks and there is something special and exciting. Her music has a nice modern and accessible flavour but you get a sense of history and classic with what she is doing. I am not sure what she has planned going forward but, right now, we have this artist who is taking from her life and providing these rounded, stunning and alluring stories. I think 2019 will be a big year for her and I am excited to see where she heads next. Let’s have a look at female artists and why, yet again, I am focusing on this subject in a review. It might seem a bit predictable and samey that I go to this well but it needs to be brought up and I have to highlight something. I have talked about the festival announcements and how female artists are being shunted. Look at the headliners already announced and they are all men. I am not holding my breath regarding the remaining headliners and whether there will be gender parity. We have not come a long way regarding equality and I do struggle to fathom why festival organisers keep on ignoring female talent. Look at the depth and variety of artists, legendary and new, and you have plenty to choose from. I would like to see a couple of female artists headline Glastonbury next year but, with the likes of IDLES and The 1975 trending; how likely are we to see that happen? It is alarming seeing the same issues occur time and time again and I am worried it will continue for years. What bothers me most is the sheer ignorance of those charged with making decisions. I am seeing so many great female artists emerge who could easily headline the biggest festivals. This year has been disappointing and I think next year might go down the same road. I am not saying Naomi Banks is ready to headline yet but, in years to come, I know there will be many clambering to get someone like her on the headline stage. If we are to see progress in music then we need to stop overlooking female artists and assuming they cannot carry the weight of a headline set. Naomi Banks’ music is stunning and there is so much to love about it. I know she will grow and her music will spread around the world and I wonder, when she does make it big, how likely she is to get that headline call? Her sounds have such a sense of physicality and passion and they would be perfect for a headline occasion. At the moment, we are spoiled for choice when it comes to female artists who can create sensational headline shows at the biggest festivals. I will move onto a new subject soon but it angers me we have to raise these arguments and talk about things like this. I would love to think things will improve in the next couple of years and we will see balance but I am not so sure. Naomi Banks is part of the new breed and making music her own way. You get an artist that can get into the heart and soul and the music remains in the memory. I have heard her E.P., Deja Vu, and the tracks and incredible. It is one of those works that you can listen to over and over and discover new things. Going forward and there will be more material and she will continue to make strides. I feel she will be ready to headline in a few years and, if the mainstream allows her exposure and opportunity, then there is no stopping her. If she does get to that stage then will the festivals open their eyes and realise there is a great artist read to strike?! Maybe I am looking at a lost cause – female headliners very soon – but I hold hope there will be a change at some point. For now, we have to encourage the newcomers and promising female artists and ensure people are aware of them. That sounds patronising but there are so many great artists around and they are not getting the acclaim they deserve. Maybe I should move on and cover something else but it angers me we have this wonderful industry with so much choice and strength and, in one area, it is so one-sided. If we keep on booking male headliners and denying female artists then we are sending out a very bad message. With incredible artists like Naomi Banks taking strides and showing she has something different; I feel she will turn more heads next year and move her way towards the mainstream. I am compelled to see what happens when she gets there – one can see an artist with promise who can inspire many others. A lot of people assume modern music is about technology and there is no real soul about it. Many assume artists write very lazily or they put everything on their phone. The old image of musicians penning at a desk or swapping lines has died for the most part but that is not to say the modern creative process lacks process and romance. I have been reading about Naomi Banks and how she put together her E.P. She wrote the bulk of the E.P. on her house boat in Essex and that alone brings to mind something very romantic and touching. Rather than writing songs in a studio or exchanging ideas via email; there is this solemn yet imaginative vision of an artist alone with her thoughts and able to create these great songs backed by incredible views. I can imagine her on the boat and the quiet and stillness of the world passing her by. The fact the songs are so electric and memorable, in part, is because of that very different and scenic setting. I wonder whether there is a correlation between creative setting and the overall sound. Maybe it is not practical to have every artist write somewhere like a house boat or somewhere like that but I think getting away from laptops and rooms is advisable. Too many of us hunker somewhere a little closed-off and we are not embracing the creative promise of the world around us. A lot of what Naomi Banks has written about concerns events from the past few years and there is definite emotion in there. I feel, if she was writing in a house or somewhere a little lonely, then the music would be more tense and gloomy. The fact she has this sense of openness and freedom means the songs pop and have a definite sense of drive. I feel all musicians need to get out of routine and predictable spaces and open the creative mind. The house boat is a natural environment for Banks and it seems like her surroundings compel beautiful and evocative music. Not only has Naomi Banks recorded and written in some great spaces but she has worked with some fantastic musicians. Producer Dieter Gickel produced Deja Vu and Banks wrote and worked on the songs between her house boat and Essex. 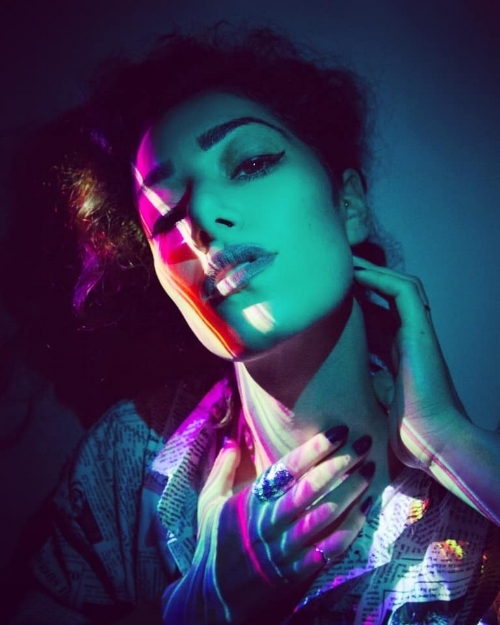 In her past, she has worked with Laura Mvula, ELO and Gareth Malone. I listen to the songs on her E.P. and can hear those eclectic artists in her own work. I know she has other influences but the fact she has had the chance to work with a variety of artists has made a positive impact on her sounds. I think, going forward, all of that past experience will drive her forward and get her looking at other artists. Her E.P. has a singular quality but I know Banks has a curiosity and determination and I would not be shocked to see her move on and collaborate with some big names. I will not labour the point too much but I love how she has worked alongside some big names and I wonder why she is not more popular. The fact she isn’t bigger is not her fault and it brings me back to the way music seems to favour male artists. Deja Vu will make an impact in regards her future success but the experience she already has should be acknowledged. I have talked about where she writes and creating something homely and unique. Pair this together with a rich experience of varied artists and some impressive experiences and you have this star-in-the-making. I know these are early day for Naomi Banks but I think many can take guidance from her. I still think too many artists have a very limited outlook or they write in a very stilted way. Every aspect of Naomi Banks’ music shines and bursts with adventure. Maybe it is because of how she writes and where she lives but I think her background and influences play a part. I have already covered a few Neo-Soul artists but, as Naomi Banks says herself, the music she creates is its own genre: ‘Neon Soul’. I have been listening to some good music this year but there are so many similar and tired sounds; they never really get into the head and it can be very dull. I have encountered a few other artists who will resonate and remain for years to come and they seem to be in a minority. I am not suggesting most of what is out there today lacks imagination and potential but too many musicians are doing what everyone else is doing. It seems like the songs on her current E.P. are inspired by someone close to her. I am not sure whether romance and passion are at the heart of what the songs say but maybe there is a more familial connection and something rooted closer to home. In any case, you have this artist who is making original and impressive music. I have tipped my hat in the direction of a potential headline spot and I know Banks could fulfil that potential. What strikes me is the way she can mix a powerful yet intimate voice with sounds that say so much. You have this rich and sumptuous bouquet that gets into the senses and lingers in the brain. Maybe it will be a lot longer before she can get headline slots but there is something about her music that differs from what is around and I know people will love to hear it on the bigger stages. I wonder whether the Deja Vu E.P. is about circumstances of love or whether there is something about family embedded in the roots. I have listened to all the tracks on the E.P. and get a real sense of the exhilarating and personal. It is a candid and extraordinary mix that a lot of artists cannot pull off. I think Naomi Banks can go a long way in the industry and she is already avoiding pitfalls others are not. She has forged her own sound and identity and one gets blasts of Neo-Soul and Jazz wrapped around something fresh and modern. Banks has taken a long time to make sure her material is as strong and potent as can be and, because of that, you have an E.P. that stands out from most of what has been produced this year. The opening moments of Enough get right into the heart and provoke all manner of images. There are casual and delayed beats together with an electronic fizz. It is a smooth and sumptuous blend that has a definite acidity and tang. 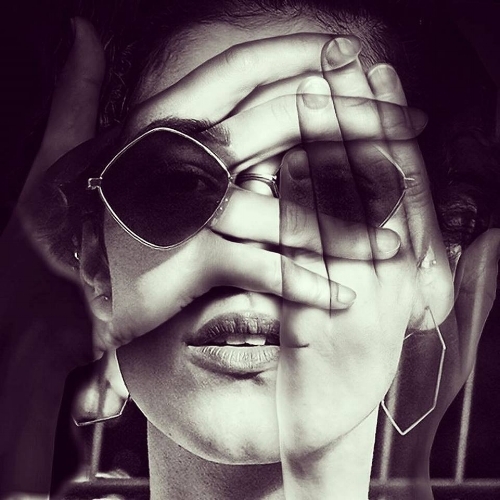 One feels the soul of Neo-Soul and the layers of Jazz sensuality but you have a fresh and modern production style that updates those sounds and crosses barriers. Before a word is spoken, I was thinking about what the song is about and, before you get to the vocal, there is so much to digest. The sounds are never too busy or full-on and you can sink it all into the mind. It is a perfect fusion of the old and new. The heroine steps to the microphone and you get little elements of classic Neo-Soul artists like Erykah Badu. Not quite as intense as Badu; Banks has a smoothness and whisper that blends with caramel tones to investigate a strange affair. It seems like there has been cheating or something duplicitous taking place. I was wondering whether a man has cheated with another and the consequences of that. There is a girl at home, upstairs, and she has given enough. Perhaps there is this aspect of a relationship where a girl has been let down but I get an impression of a broken family and the younger child being let down and overlooked. Maybe I am looking at this from the wrong angle but there is tension in the air; a man who needs to watch his step and has been given a second chance. Banks is laying down the lay and telling it like it is – she does not want the same things to happen again. The composition has a nice sensuality and flow to it and, apart from a trope that gets into a lot of music – chipmunk-like vocals have been used for years and they always sound jarring and too grating – it is a satisfying and flavoursome blend. Banks is commanding and strong and is telling a story that makes you think and gets into the imagination. The more Enough goes on, the more I get behind it and start to imagine how it started life. The more things unwind, the more the truth comes to mind. The processed and high-pitched backing vocals do get in the way a bit and could have been substituted by something that conveys the same impact – it is not a big drawback and problem given the strength of the music. There is a heroine who has been overlooked and ignored; the man is not paying attention and, when she comes through, he is not doing his part. The song gets into a groove and you are carried away by the beats. Banks is a singer who can mix it up and change pace without losing her integrity and focus. Instead of anger and accusation, there is a sense of calm and patience and she just wants the right thing to be done. I wonder whether the song is taken from her own life and experiences or whether she has seen a friend being let down. I have heard the song a few times and, with every visit, there is something new that comes to mind. The man needs to watch what he says and she has given enough. It seems like a tense situation but Banks does not deal with clichés and ordinary terms. Her story is different and there is a lot more detail and life than you get from most songwriters. The chorus is the most satisfying part of the song as it has a more pleasing musical tones with few sharp edges but carries plenty of panache. One senses some soulful slink and funkiness but that does not get in the way of the song’s message. Banks is keen for the villain to hear her words and make sure he does not keep screwing up. Everyone will have a different take on Enough and what it is all about. It is a song that hits you first time around and makes its mark but new elements come to mind when you play it again. I have not heard too many songs like it this year and it definitely stands out. What is most astonishing is how natural and easy it sounds. Banks is an artist who can produce these deep and complex tales that have an easy-going vibe and do not weigh you down. So much of modern music is about stress and anxiety and you do not get this with her. Enough is a fantastic song that is part of a wonderful E.P. Ensure you listen to everything on there but, to me, nothing shouts quite as long as Enough. It is proof Naomi Banks is a great and unexpected talent who has a lot of ammunition and has a lot more to say. I expect her to explode and grow over the next year or so and there are many others who are excited about what she is producing. Ensure you follow her and keep an eye out regarding what she is doing. I cannot find much fault with Enough – aside from the vocal processing and effect that drains some of the naturalness – and it is a fantastic offering. I have talked a lot about Naomi Banks and what makes her special. There are plans afoot and she will be keeping busy but make sure you keep abreast of her social media pages and follow what she is doing right now. People are talking about her E.P. and paying tribute to her fantastic sounds. I have read reviews and people are wondering why she is not bigger. Banks has done everything she can and worked hard but I feel the industry needs to pay more attention and give her more credit. It might take a few years before she hits the bigger leagues but the progression is impressive. She has shown she is a talented and incredible songwriter and the songs throughout Deja Vu will stay in the head for a long time. I shall wrap things up pretty soon but I wanted to explore every aspect of Naomi Banks’ music and what she is all about. Here is an artist that has such a fantastic style and background and she brings all of this into the music. I am compelled to see what her E.P. documents and whether relationships are a big part of it. You can sense some personal loss and pains in some of the tracks but maybe I am being too literal. Most songwriters pen songs about life and love in a very ordinary way but Banks has a different take and provides something fresh. I started by mentioning genres like Neo-Soul and Jazz and how rare they are.